Hello, fabulouses, and welcome back to Beauty Tues! 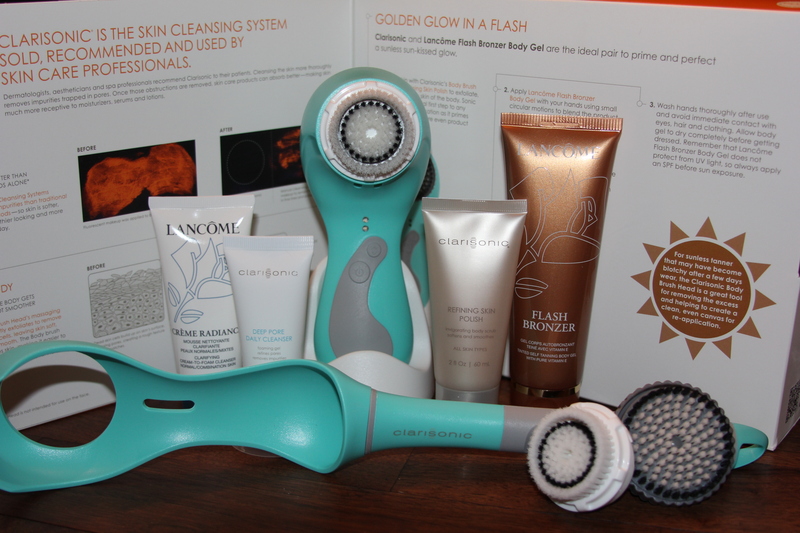 This week’s Beauty Tues News is all about Clarisonic’s Aria PLUS device which is designed to help create beautiful skin for the face and body. I stumbled upon this gem of an item at Belk at The Southern Women’s Show. Since discovering it, I have used it every single day! Over the past couple of weeks, I have been amazed at the transformation of my skin. The Clarisonic has helped eliminate those pesky blackheads without the hurtful tools or painful nose strips. For people like me who have sensitive/acne prone skin, the Clarisonic Aria PLUS with detachable body handle is perfect for using after a workout–it easily scrubs away all the sweat and grime–which helps to prevent pores from clogging. 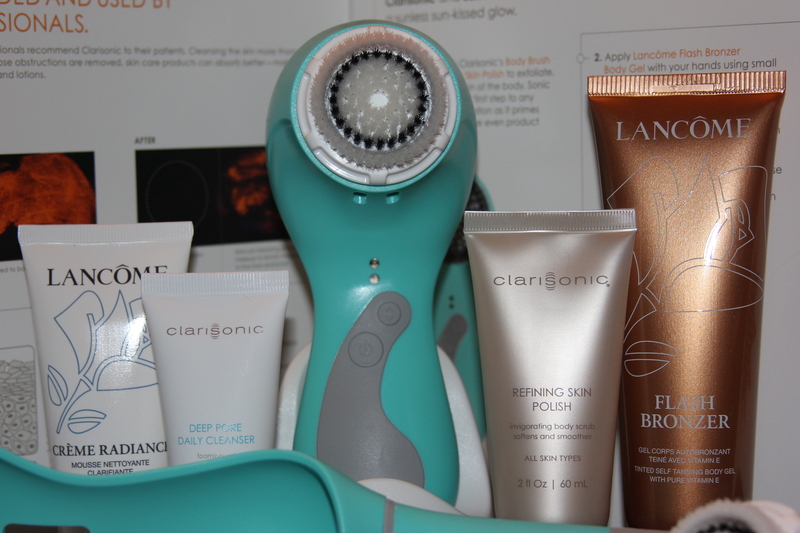 With my busy lifestyle and little time to book a facial, the Clarisonic Aria PLUS is the VIP’s beauty pick of the week because it is so easy to use and leaves my skin fresh and glowing. Lancôme Crème Radiance. Learn more about this product here. Lancôme Flash Bronzer. Learn more about this product here. Clarisonic Deep Pore Cleanser. Learn more about this product here. Clarisonic Refining Skin Polish. Learn more about this product here. Clarisonic Normal Brush Head. Learn more about this product here. Clarisonic Body Brush Head. Lean more about this product here. Clarisonic Aria PLUS in Turquoise Mediterranean. Learn more about this product here. Clarisonic Body Brush Extension Handle. Learn more about this product here. Clarisonic Barrel Bag. Get the bag here. Come back next Tuesday for another VIP Beauty Tues News!